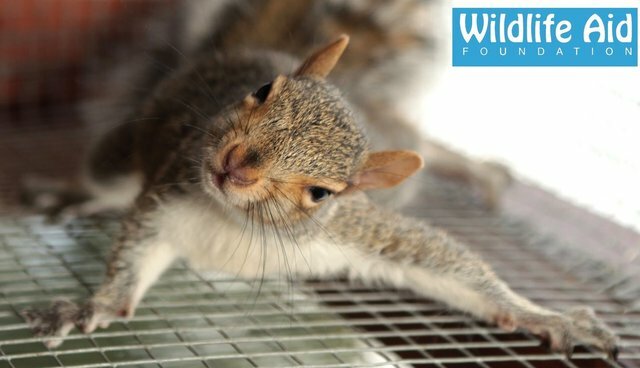 This squirrel was lucky to escape, unharmed, after being hit by a car! He was stuck inside the grill of a BMW, where he ended up after the crash. Simon and Lucy spent quite a lot of time trying to free the little guy. A few seconds after being freed, he made a dash to the closest tree.